This week I had my first post-observation meeting with Mrs. H and it went really well. During her lesson last week, I sat off to the side and documented the lesson in a google doc. I simply made observations, noting what the teacher said as well as the students, and I made no judgements about anything. Then, I decided I wanted to synthesize my observations into a google doc I could share with her, using some guiding questions. I really liked this PDF document on coaching that @mrd shared in his week 2 post (https://drive.google.com/a/iszl.org/file/d/0B11SCvd_Up-VUVhjTkQwamk2NTA/view) and used the GROW coaching model to guide my follow-up meeting. Ask about the coachee’s goal or objective, as far as the issue is concerned and as far as this conversation is concerned. What is GOAL your goal for the students (with blogs)? What are the intermediate steps and what is the timeline? Ask for a description of the reality relevant to this issue. How will SeeSaw be used differently? What are the main obstacles in your path? What internal obstacles still exist? What sources can you tap into in order to overcome those obstacles? What other resources do you need? How can you get them? Ask about the different options open to the coachee. What are all the different ways in which you could approach ePortfolios using SeeSaw & Blogger? 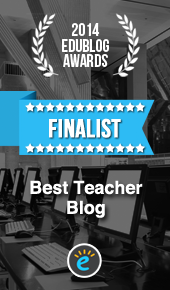 What would you do if you could make the decision for ePortfolios? Which option appeals to you most or feels best? Ask about the coachee’s decision and the strength of his or her accompanying willpower. What obstacles do you expect, and how are you going to overcome them? What internal obstacles do you perceive within yourself? What can I do for you in order to support you? When we sat down at our meeting, I started by asking her how she thought it went. Mrs. H is very reflective about her teaching, and clearly outlined areas where she felt it was disorganised, and areas where she felt it opened up opportunities for student inquiry. For example, she shared that she wanted to scaffold the steps students need for recording the videos, since many videos were blurry or the speaking was unclear. Then she reflected that these first videos are a way for students to come to these conclusions themselves, and that they could develop some criteria as a class for creating blog posts. After she shared her reflections, I added a few strengths-focused observations such as how she was flexible when AirServer wasn’t working and that she kept the pace appropriate for the students, even when iPad projected sideways on the Smartboard. I shared how I thought it was great that she made connections to her UOI and gave students a purposeful task they could reflect on later, whether it’s using correct language to describe their Public Space or if it’s the technical side of recording a video and improving speaking skills. While I had outlined the 4 stages of a GROW approach to coaching, our time ran out and we really were only able to touch on Goals, Reality and look at some Options for action. At this phase in our coaching I think it was a fantastic start as we both have some targets to support learning for students. This link takes you to the Google Doc Meeting Minutes I created with Mrs. H, so you can see how I have scaffolded the meeting, and how we are moving forward. We also discussed the option of me dropping in once a week to her class, and both decided that it’s more appropriate for her to be in charge of leading the lessons (now that she is more confident with the apps) and that we would touch base every week for 20 mins to see how it’s going. If she needs an extra pair of hands to help with an aspect of publishing or sharing work, then we agreed I would come in then. But overall, Mrs. H has initiated being more independent with tech integration, which is a huge change from last year. Later on in the day I ran into Mrs. H and she told me again how much she appreciated the meeting. She said she didn’t realise she had so much to reflect on and so many ideas to improve student learning. I realised I had done very little talking during the meeting, simply guiding her thinking with prompts. Her response and personal reflection really signified the importance of asking questions and letting the coachee be in charge of directing his/her own skills and learning.